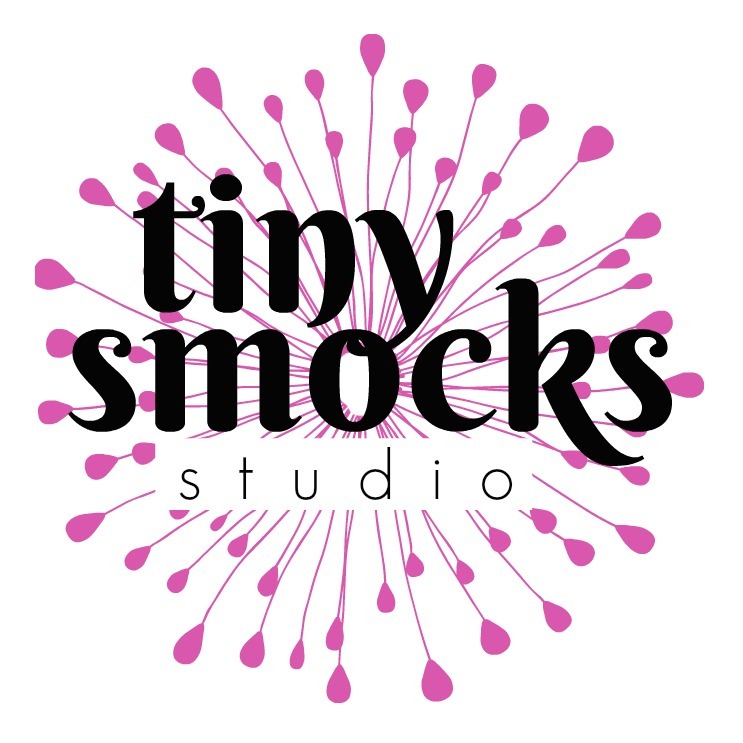 Danika and I have been working on this project for a while now. 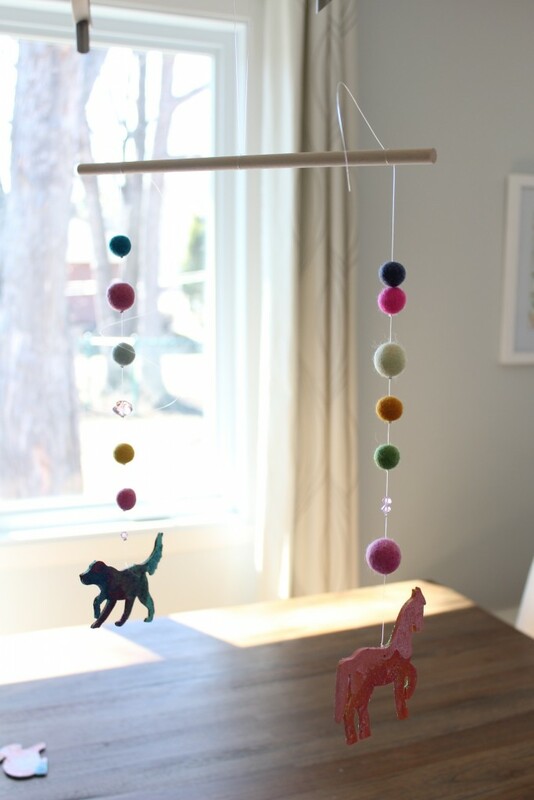 I found some really great Etsy Shops who make really sweet mobiles that use wood, beads and felt (like this one and this one from Australia and this one in the UK). Drawing inspiration from these, I decided to try to make one with the help of my little partner, to decorate her room. 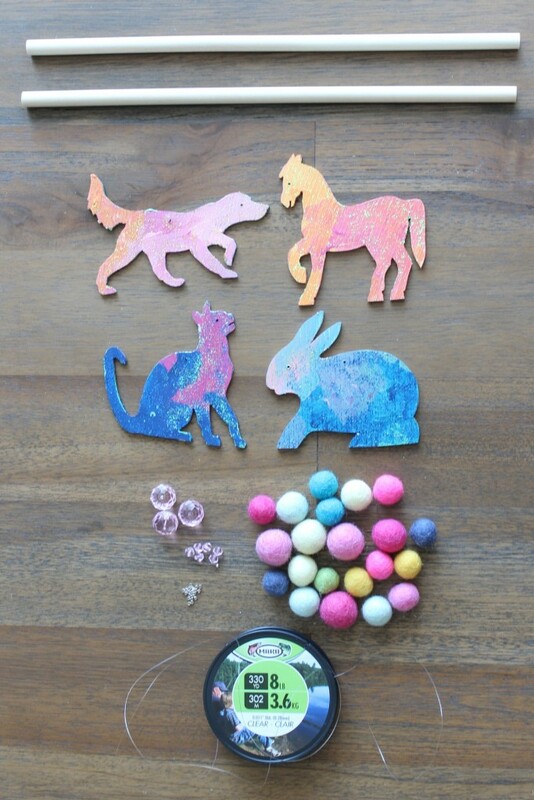 Danika painted these animal silhouettes herself using acrylics and finishing them with glitter glue. 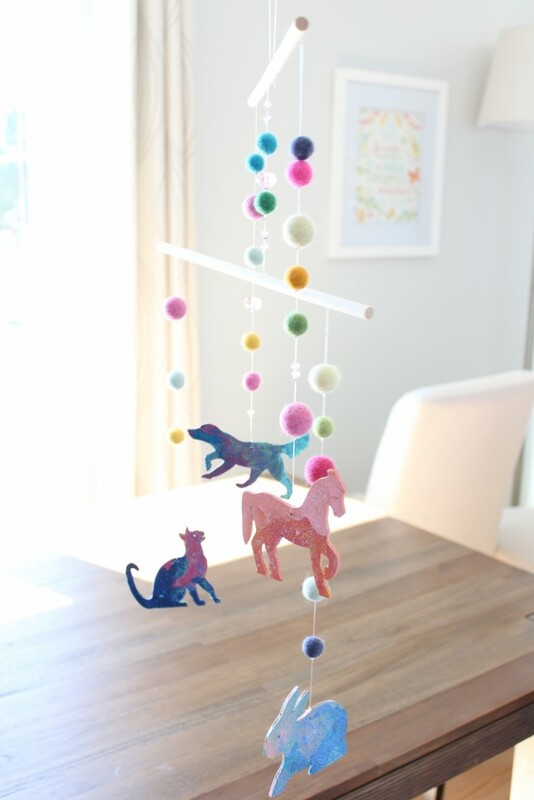 Then I strung them up using felt balls I had left over from this project and glass beads I already had on hand. All I needed to buy were dowels and fishing line, which I found at my local dollar store. Paint or let your child paint the animal silhouettes on both sides. I selected the colours my daughter could use and just let her apply and mix the colours to her heart’s content. We finished them by smearing glitter glue all over them. Cut sections of fishing line. 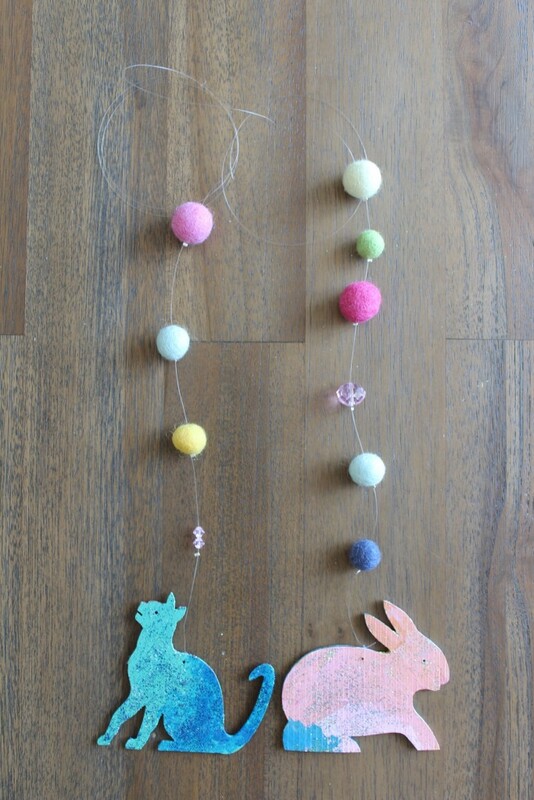 On a table, lay out the order in which you want to string the felt balls and beads for each line (it will be easier to sting them up if this is done first). Don’t forget to add a crimp bead between each. Tie some fishing line in the middle of the dowel that will be your first level. This will be to hang your mobile from the ceiling. Attach two of your completed lines on both ends of the first level dowel. Join the two dowels with a smaller section of fishing line. 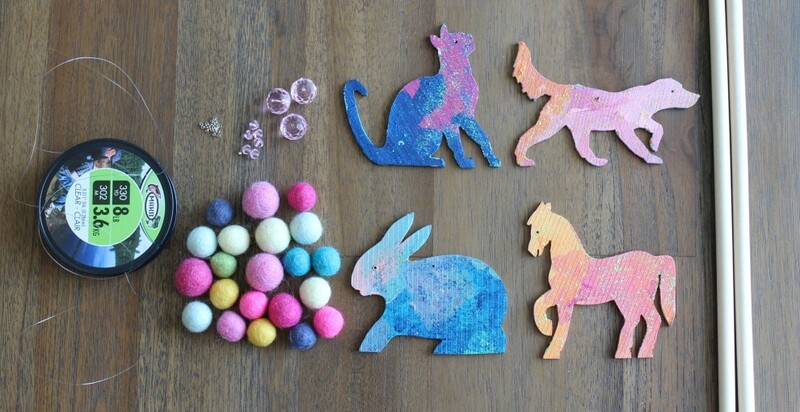 I put beads and felt balls on ours, but you can leave it plain. Attach the last two lines on each end of your second level dowel. Find a spot you can hang your mobile temporarily so you can “dry” fit it. I used my chandelier in the dining room but a knob on an upper kitchen cabinet would probably work too. Once hung, you’ll notice that your mobile is probably a little lop sided. This can be fixed by moving the heavier lines toward the centres and the lighter ones towards the extremities of the dowels. Keep adjusting until the dowels are horizontal. 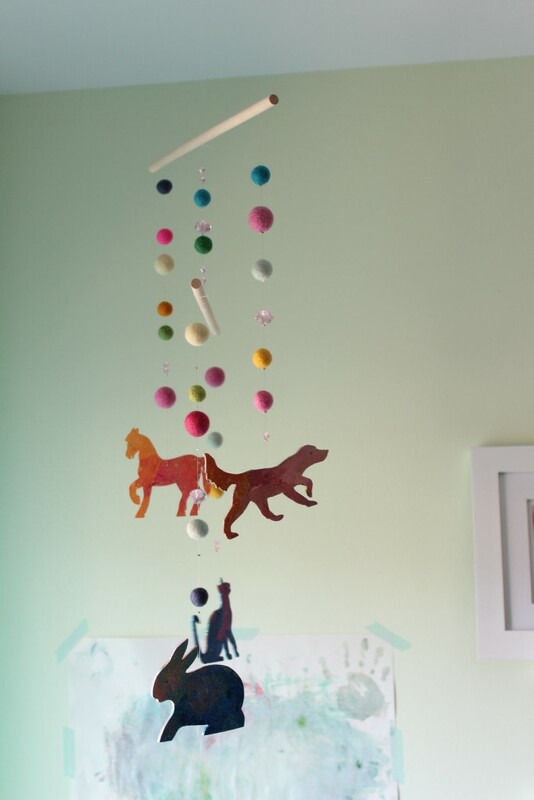 Hang from the ceiling and trim excess fishing line. 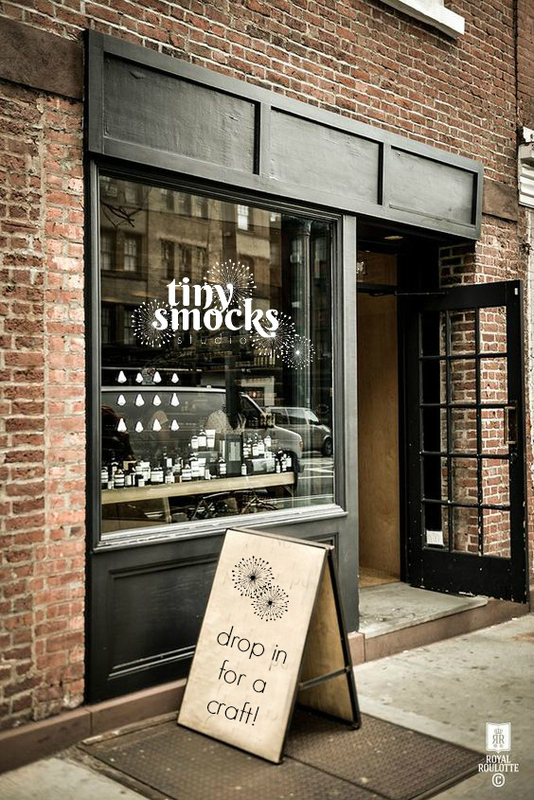 You may have to readjust them a little again. To make sure the lines stay put, dip a brush into some Mod Podge and “paint” a thick coat right on top of the dowels where the lines are tied. Here’s the final version, hanging by the window in Danika’s room. I love how it sparkles when the light catches the beads and how it rotates.